Better health and wellbeing in older age is critical to us personally, and as a society. World demographics have changed and we will soon have more older people than children, which will impact and transform our national and global demographics. An aging population affects social costs, and understanding this relationship helps us establish the necessary infrastructure for the changing landscape of healthcare. Stress disorders, including insomnia, anxiety and depression, are the most common mental illness in the US affecting 40 million adults18 and older: 18% of US population. Restorative yoga provides deep physical and subtle support, and is an antidote for anyone who is feeling overly busy, stressed, exhausted, depleted or disconnected from themselves. Restorative Yoga is highly adaptable to accommodate the needs of different conditions and physical abilities.They have can help us feel deeply nourished and rested, and have the power to help with rehabilitation, therapeutics and prevention. Yoga Bloom Art & Science of Restorative Yoga is the first Specialty program of its kind.This is a 100 Hour Restorative Yoga Certification Program, with a comprehensive curriculum of Restorative Yoga and therapeutic techniques. This in-depth 4-part program will break down Restorative yoga theory, practice and implementation. 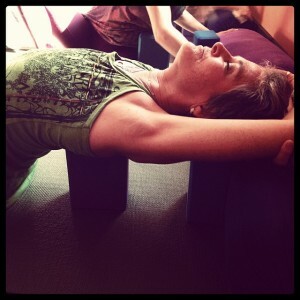 There are 4 Levels of Yoga Bloom Art & Science of Restorative Yoga ; Each session is 4-Days with 25-Hours of classroom. We will work with three key elements: Technique, Sequence & Timing. You will receive a Yoga Bloom 100 Hour Specialty Program – ASRY certificate, and can be applied to 200RYT and 500RYT. Yoga Bloom is offering the Art & Science of Restorative Yoga in 4-Day modules, and these modules speak to each other in creating a comprehensive syllabus. Each four-day module earns 25 hours towards 100-Hour Specialty Program Certification. Refine the understanding of this subtle and powerful practice, and deepen your own personal experience. 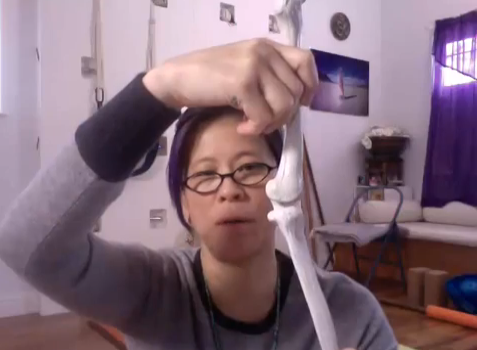 Learn the scientific and somatic language of the body and apply this knowledge through practical experience. Trainees will be required to demonstrate understanding of lesson planning for specific issues and themes. Demonstrations on students will help trainees’ understanding and ability to apply yoga therapy knowledge in a constructive manner. Tuition is $595 per Module or $1,000 for 2 Modules paid in advance.